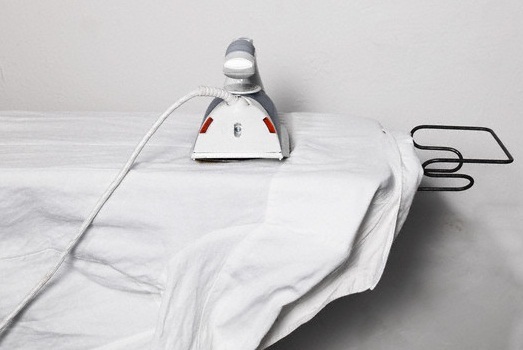 Il Mastello offers a shirts’ ironing service in Rome and a garments’ vacuum service. The stretching is a tiring and complex activity, which may take a large expense of energy. For the shirts’ ironing service in Rome our highly trained staff will take care of your shirts, with care and attention, by stretching them in a impeccable way and fulfilled with a perfect fold. In fact, the shirts’ ironing requires lots of experience and ability, characteristics that distinguish the work of all our employees. For your most voluminous laundry we make available, a vacuum service that will let you reduce their encumbrance inside of your cabinets and protect them from dust and mildew. Our self service laundry is provided with modern washing machines and dryers and technologically advanced in order to ensure accurate and sanitized washing even for the most bulky and voluminous garments, such as duvets, jackets, bedspreads, curtains, carpets, bedding etc. Our service is addressed not only to private clients but also to businesses such as restaurants, hotels, beauty salons etc… that need to have a clean and sanitized laundry. All the garments are treated with specific detergents selected from the best manufacturers, Italian and foreign. From us you can take advantage of the latest washing machines generation that have different loading capacities. Our personnel will be available to explain each machine’s operation and related washing programs. Our automatic laundry service is created for all those who have little time to devote to this type of activity: just for this our hourly flexibility enables you to have our washing machines even in the late evening. Within an hour, our washer-dryer Rome service will let you have a clean, sanitized and dry laundry. Our washing machines are also provided with a proper automatic system that sanitizes and disinfects any laundry with each washing. We carry out this job for years with dedication and seriousness, and our goal is to meet every type of need and achieve the highest customer satisfaction: which is why we take care of choosing the products from the best brands and ensuring the proper functioning of our machines.